This was Bureau of Corrections (BuCor) chief Ronald “Bato” dela Rosa’s unsolicited advice to opposition Senator Antonio Trillanes IV. The senator has been holed up in the Senate since last week, wary that he would be arrested after his amnesty had been revoked by President Rodrigo Duterte. “Kung makinig lang sya sa akin, advise-an ko siya na kung pwede huwag matakot. 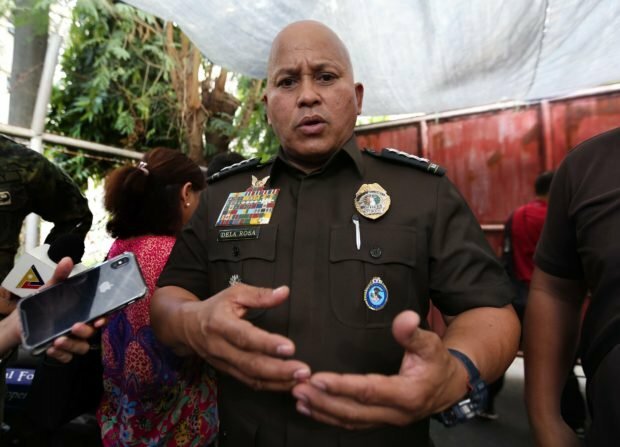 Umuwi ka kung gusto mong umuwi,” Dela Rosa told reporters at the Senate on Wednesday. “Wala namang huhuli sa kanya. Wala namang warrant of arrest, sinabi ng Presidente,” he also said. If Trillanes still doubts Duterte’s assurance that he would not be arrested without a court order, Dela Rosa noted the senator could always call the heads of the Armed Forces of the Philippines (AFP) and Philippine National Police (PNP). Dela Rosa was PNP chief before he was appointed at the BuCor.